In previous articles, I wrote about the benefits of silk, most common types of silk fabric, and how to cut chiffon (and other slippery fabric). Now let’s talk about interfacing, threads, needles, sewing machine settings for silk fabric – basically the specifics of the tools and notions used for sewing silk. Silk fabrics especially chiffon, organza, georgette, gazar, gauze, charmeuse have a reputation of “difficult to work with”. In my opinion, it is not the material itself that is creating problems. Most of the difficulties have as the main cause either the lack of adequate tools ( sewing machine, needles, threads, etc. ) or the lack of experience – I believe I can help on both fronts. 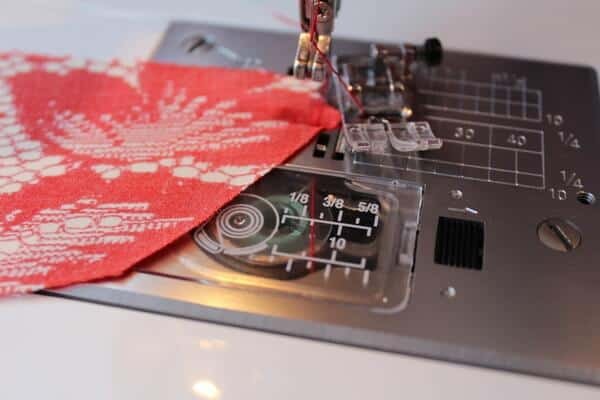 It’s just amazing what these simple tricks can do for your silk sewing projects. It is important to choose the proper type of interfacing for your silk fabric. In instructions for your sewing pattern, you can usually find information if interfacing is required and what type you need. Interfacing is often necessary to stabilize seams at necklines, armholes, waistbands, to add firmness to collars, cuffs, pockets, etc. For most silk fabrics we use fusible interfacing with an adhesive on one side which bonds permanently to the fabric when applied with an iron. I use very lightweight thin fusible knit interfacing which has a certain amount of stretch in it. It doesn’t add any weight or bulk to the fine silk fabric. 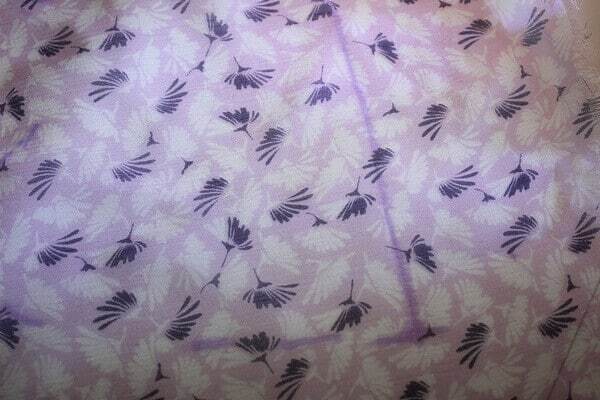 There is also woven fusible interfacing for silk which is delicate, semi-transparent and slightly elastic. NOTE: This post contains affiliate links for your convenience in finding the products you need to sew with silk. Meaning, if you purchase these products after clicking through these links, I will make a small commission. If I need to fuse (to stabilize) small pattern pieces (like collars, yokes, belts, facings) I don’t usually cut them separately from the fabric and from the interfacing. I just fuse with interfacing a bigger piece of silk first and then cut pattern pieces from it, and this helps to prevent distorting of small pattern pieces. I apply fusible interfacing with an iron without steam. I know they recommend to put the iron at silk setting, but to me the temperature of this silk setting seems really low, so I do it at wool setting. It works just fine for me. Sometimes I put narrow strips of very thin fusible interfacing (about 2cm or 7/8 in) along entire seam lines (which can become stressed as you can see in the image) to prevent seams of a silk garment from tearing apart. Usually it happens with close-fitted garments in some curved areas or where a lot of movements happens. But you can’t use even very thin fusible interfacing for transparent silk fabric like chiffon, organza and silk mesh because the glue can shine through to the right side of the fabric and because fusible interfacing only comes in white and black and it will be seen through the sheer fabric. Therefore, to stabilize transparent silk you can use a second layer of the same fabric as a form of sew-in interfacing! 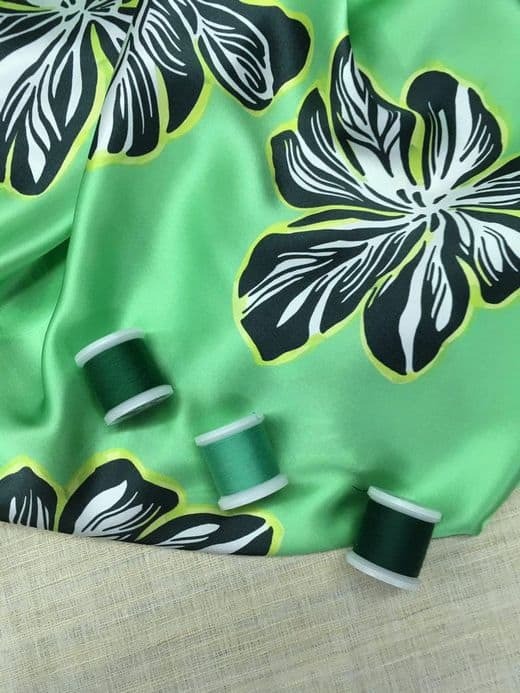 We can stabilize seams of fluid slippery silk fabric also with stay-stitching, and I see it is always recommended in McCalls, Butterick, Vogue, Simplicity pattern instructions. But I like to use strips of silk organza instead of stay-stitching. How to do it? Cut narrow cross-grain strips of silk organza about 2.5 cm wide and unravel a little their edges. Actually, you can just tear them from the fabric piece instead of cutting and they will unravel enough in the process of tearing. This unraveling will make the edges softer so they are not going to be uncomfortable for your skin. And use these strips to stabilize neck lines, armholes, and shoulder seams. Baste them in place and afterwards do the stitching. These strips will stay in the garment permanently. 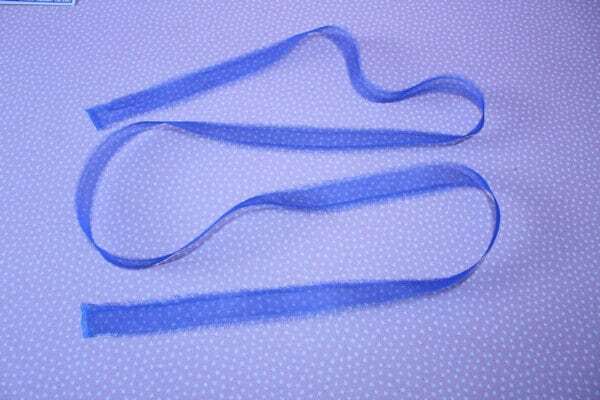 If the seams you need to stabilize are curved you can shape these organza strips with a steam iron. While I am working with silk fabric I always baste pattern pieces together by hand, because it gives me more control of the slippery fabric. Stitching by machine becomes more manageable because pattern pieces will stay in place. 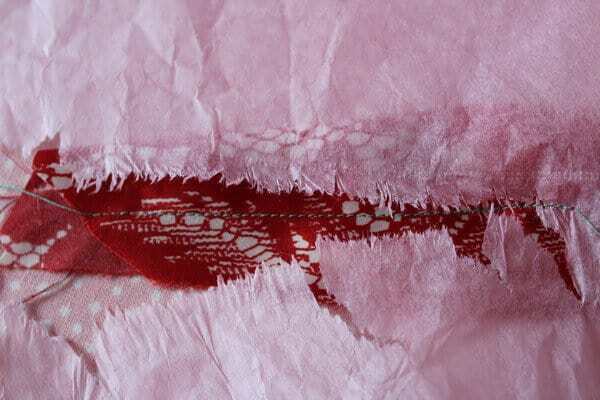 Silk is easily damaged by a needle (there are always traces of punctures). So for hand basting use a very thin needle with a tiny eye. Marks of such needles are not so visible. 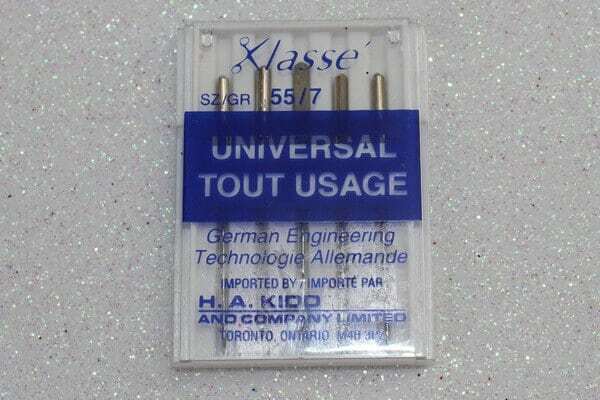 And in your sewing machine put thinner universal or sharp needles – 70/10, 65/9, 60/8 size needle. I even found size 55/7 recently. I didn’t know they exist. I didn’t read about these needles on any sewing site. 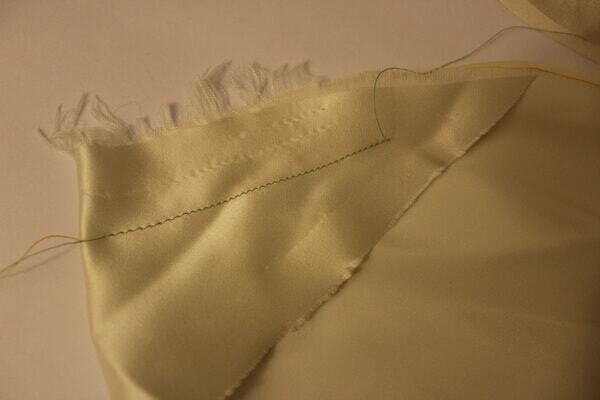 I used one of the needles to sew silk chiffon (with silk thread) and it works so nice! I took stitches out ( just to try the needle) and there were no holes in the chiffon as you can see in the right image. And make sure the needle is smooth, straight, without any roughness. Better put a new one for a new project even if you do not see anything wrong with the old one. Sometimes the current needle might have bent slightly and even if you can’t see the bend, it will be distorted enough to affect the stitching. From my experience 100 weight 100 % silk spooled threads are the best. They are smooth, quite strong, yet delicate, have lustrous sheen and glide through the silk fabric with amazing ease. Remember that your thread shouldn’t be heavier than the fabric. Silk threads are just amazing! Here are some affiliate links where you can buy 100% silk threads for your projects. If you can’t find silk thread in a proper tone, then use fine cotton or linen thread. Polyester thread can be used also, but check out on scraps how the stitching line falls – it happens sometimes that the polyester thread when it comes out from the machine stretches out and then “relaxes” on the seams and shrink back puckering the seams. Cotton threads are preferable to use for silk garments, because if your garment gets caught on something, the cotton seam would break more easily than the expensive silk. 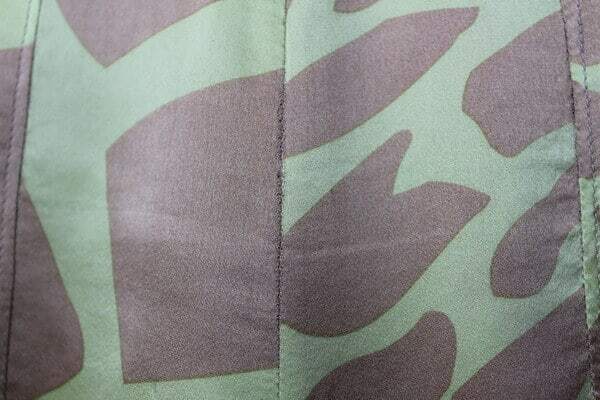 Seams sewn with polyester thread, on the other hand, are more durable. If the silk garment gets caught, the seam would hold and the fabric itself would tear. Check your machine before sewing – it has to be clean and free of lint. It is very important to adjust the tension for threads and needles you will use for sewing silk. Consult your machine manual and practice on scraps. Then practice some more! Stitch length should be short, set it to 1.5 – 2 mm. Backstitching on lightweight silk should be avoided. Manually tie thread ends to secure the stitches. Lightweight silk is prone to get “swallowed” in the needle plate opening when the needle moves up and down. So some seamstresses when sewing silk set a special needle plate with a smaller opening for the needle. 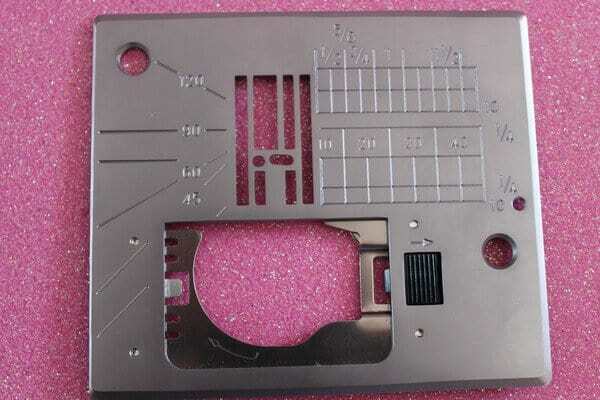 It is called Straight Stitch Plate and used for straight stitching in the far left position. This special plate prevents puckering, bunching up, skipping stitches, and also prevents the fine fabric from being pulled down to the bobbin area. But if you don’t have this special plate you can just stick a very small piece of clear scotch on the regular needle plate and make a small hole under the needle so the fabric will not fall through. I have to confess I am not a big fan of this trick, but lacking all else, it might work. 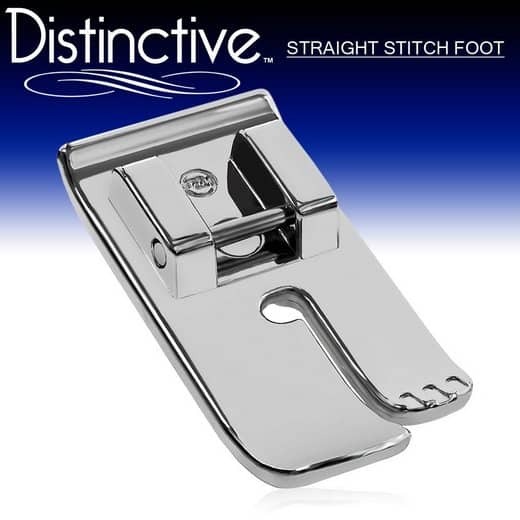 You can also use a special Straight Stitch Foot with a smaller hole. Or again you can stick a piece of a clear scotch to the regular foot. Or you can try to sew with the needle in the far left position. This will also help you to avoid getting the silk fabric pulled down into the feed dogs. There are other ways to avoid this happening. 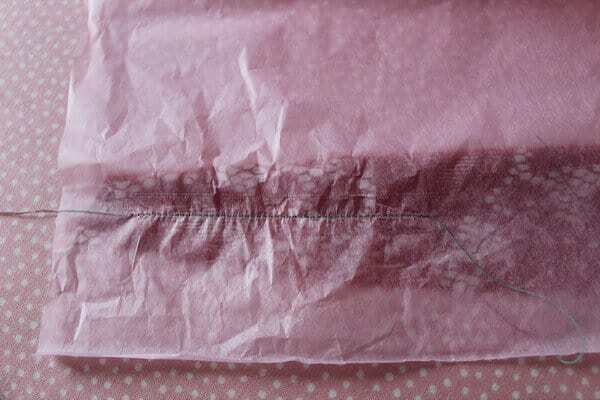 Lay a sheet of a tracing paper (or a gift wrapping tissue paper) or lightweight tear-away stabilizer (which is quite expensive though) between the needle plate and the fabric or between the silk and the needle (or even both). By the way, this will also help to prevent distorted seams, stretching the fabric and eliminate the sliding of the fabric. When you finish stitching, just rip off the paper. If the tearing will get tedious dampen the seams and it will come off quick & easy. Before I bought the Straight Stitch Plate and Straight Stitch Foot I used 5 cm strips on the bottom and narrower strips on the top (I put them even with the edge of the fabric). After a little practice, it is really easy! But these adaptations are not always necessary. They may be useful only for very thin, fine lightweight silk chiffon, georgette, organza or habotai. Other types of silk fabric will be just fine with the regular settings. 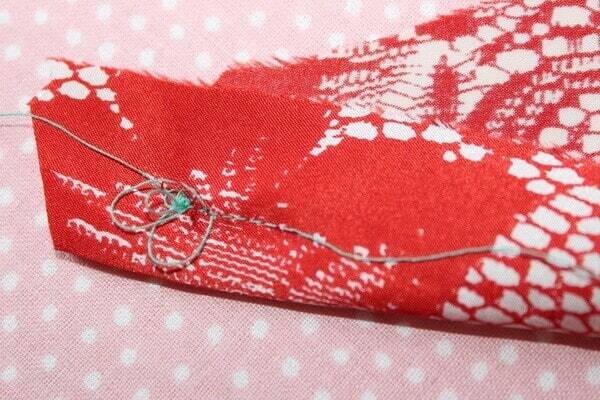 Try your stitching on scraps first to see if your machine produces even, regular stitches. 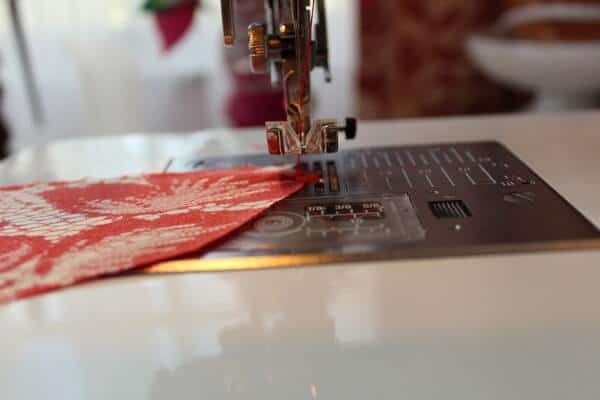 If your sewing machine will “swallow” the fabric then use these tricks. If not – then forget about them ( until next time ). And always hold the ends of the threads behind the needle as you start sewing to prevent the fabric from getting under the needle plate and also to prevent bunching of threads as you can see in the image below. 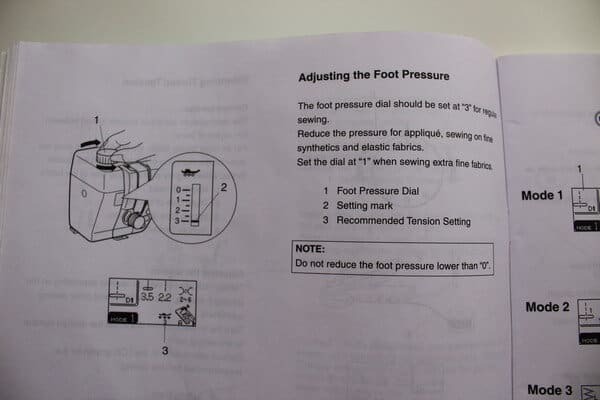 Most sewing machines (not all though) come with foot pressure regulators. This control is not so obvious and many sewists just never use it. But if you are sewing very fine silk fabric you must adjust the foot pressure otherwise you may get skipped stitches, poor feeding of the fabric and difficulty in guiding the fabric. The foot pressure for chiffon, organza, georgette and other very lightweight silk fabric has to be different than for thick coat wool and denim. So look in the manual of your sewing machine and find the pressure adjustment knob and how to move it for very lightweight fabrics. 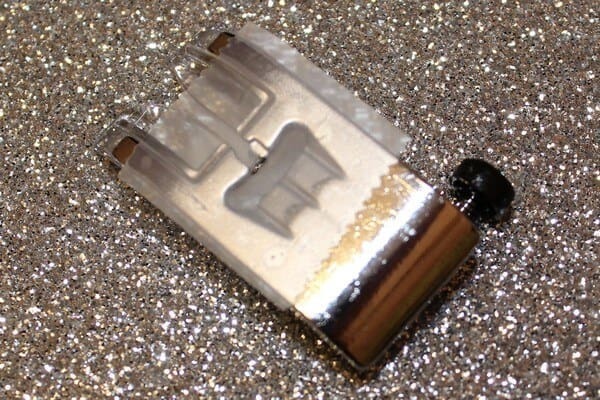 It is usually marked with an image of a presser foot. 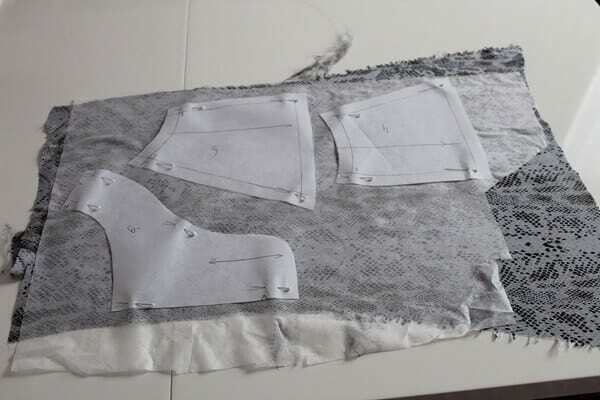 Again, practice ( on scraps ) will help make a perfect garment! This image is showing how it looks like in my Janome 6600 sewing machine manual. Do you have other useful tips (for sewing silk) to share? Any questions to ask? In my next article, I plan to give you some advice on stitches and seams for silk fabric, I will talk about basting, seam allowances and their finishing, hem lines for silk garments, etc. I’m making a pillow which has a separate band that is made to go around the pillow and calls for a fleece like lining. Then I was going to look for another piece of fabric to back this band. The book I got the pattern from doesn’t talk about what fabrics to use, but I paint silk so I designed this separate band and painted it. Now I’m not sure if all these fabrics will go together and what kind of needle to use, etc. 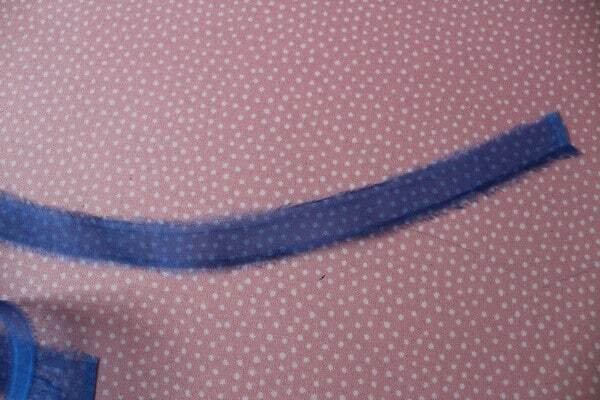 Also wondering if I should go ahead with zig zagging the edges of my painted silk piece to prevent fraying. Any suggestions would be appreciated. Thanks for your helpful article. Thank you for sharing your article. There’s some invaluable advice in there. I just have a question about interfacing for silk. The silk I’m using is very fine. I don’t feel quite confident enough with doing the thinner pieces of silk. The dress part of the dress has a large skirt. Would I just iron on long pieces down the seams? Or the full skirt? I’m also using a lining. And the lining is a Polyester Satin. Thank you! As for your question, Crepe de Chine silk can be different from different manufacturers, so I would like to know exactly how it feels before giving any advice. Also, I would like to know the pattern, for example, if you cut it on bias for the skirt, etc. So here are my thoughts. I wouldn’t interface it at all. If you will iron on long pieces down the seams it can pucker on the long skirt along the seams. This kind of interfacing is good for the top’s seams, but for long skirts – not so much. And if you iron on the full skirt, some small pieces of interfacing may separate from the slippery fabric (maybe not right away). 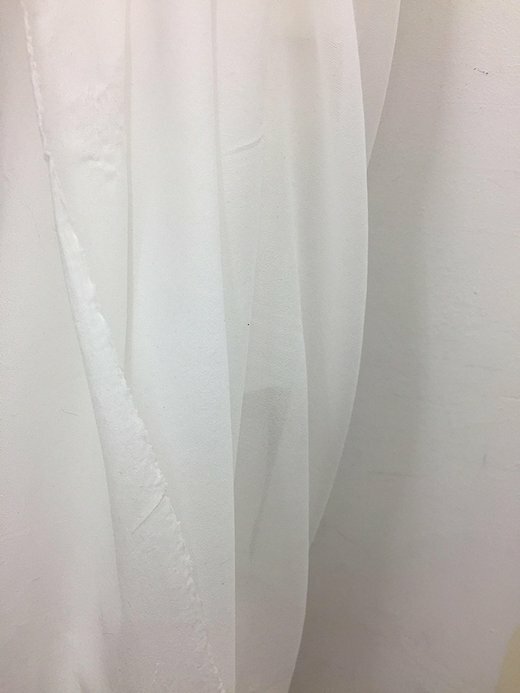 I would use flat felled seams for the skirt and here is my tutorial on how to sew flat felled seams on lightweight fabric – https://www.ageberry.com/sew-flat-felled-seams-silk-fabric/ I hope it helps. I am sewing a jacket out of heavy Thai silk. My pattern (Vogue 9339) suggests fusible interfacing the whole thing. Do you think this is necessary? Just looked at the pattern. Very nice jacket! Do they say to interface sleeves also? Or only bodice? I wouldn’t interface sleeves and sides of the front and of the back. I made many jackets and never interfaced the whole thing. Heavy Thai silk is not stretchy at all, and if you interface the whole bodice the seams may become rigid and boardy. But on the other hand I trust Vogue brand and if they say to interface everything then they have their reasons, right? Maybe it’s a new trend. But I don’t think it’s really necessary. I am finally using silk I bought in Thailand 20 years ago!